DISNEY was looking for an eye-grabbing experience that would stand out amongst a sea of large booths at the Licensing Show in Las Vegas. They needed something different, with ample meeting space, and would draw the attention of the crowds in the aisles. Tangram took control of the creative design and production, moving forward on the directive the team was given. The solution came in the form of multidimensional, media centric, and accessible entertainment. 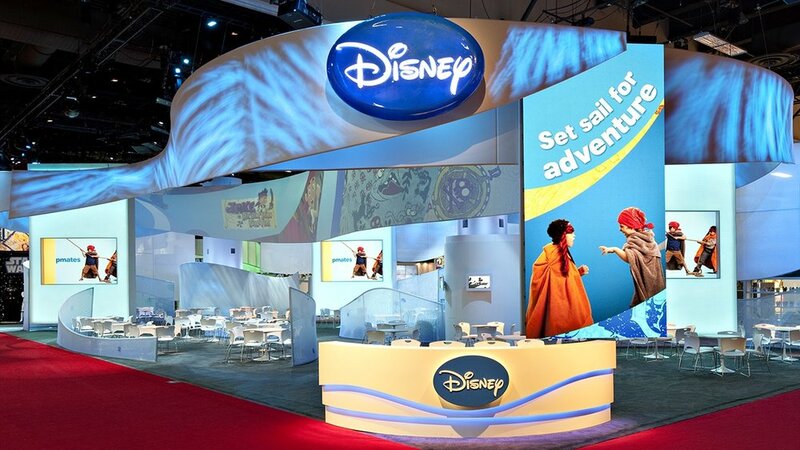 By using an abstract design, rigging enormous fabric surfaces, and projecting colorful video, Disney’s booth transformed in to a show stopping production. 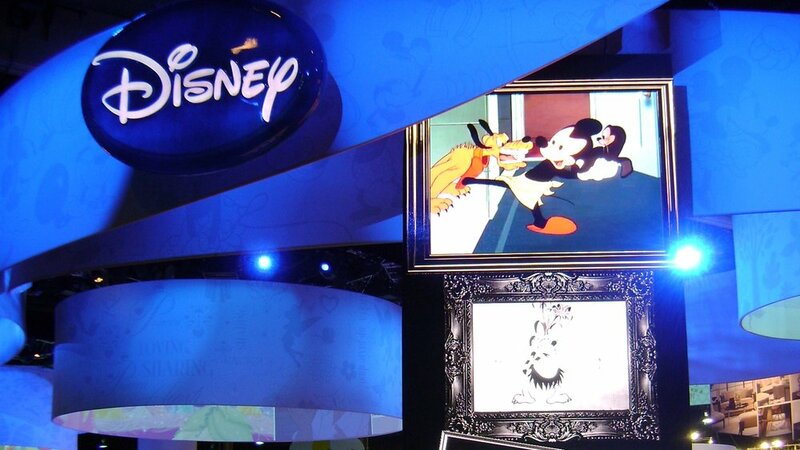 The color drew the eye of the standard passer-by, the shape of the exhibit captivated the audience, and the undeniable branding allowed a no fuss, straightforward marketing opportunity, capable of showing the wide range of Disney’s portfolio, with out seeming busy or strained. The direct effect of us working with our clients to achieve their vision is that the journey remains collaborative from beginning to end. Our team members are unparalleled in their field of creativity and “start to finish” production. Disney was open to sharing their ideas, and partaking in a back and forth dialogue that allowed for a symbiotic relationship. Tangram also looked at the different ways to streamline the installation, by using an all fabric structure, not only allowed for beautiful projection, but saved thousands on booth longevity, transportation, storage and drayage. The end results were palpable. The aisles were packed with on-lookers marveling the massive experiential space. Social media was buzzing with attention and photos of the booth. Cameras were at attention. The exhibit was an enormous hit, and the impression it left with Disney’s clients and potential clients was blatant. For us, the feedback was clear when Disney told Team Tangram, “You guys knocked it out of the park.” Not to mention the overwhelming response for our peers, ending in a ‘Best in Show’ award.